Welcome to Safari Automotive where we are passionate about the ultimate in engine performance and engine protection. The Safari range of products represents the best in innovative automotive engineering where each product release is the result of a comprehensive research and development program designed to produce a totally engineered and thoroughly tested package. Safari's signature lies in the quality and durability of its components, the attention to detail in every system and the absolute standard that "product performance must always be reliably achieved". 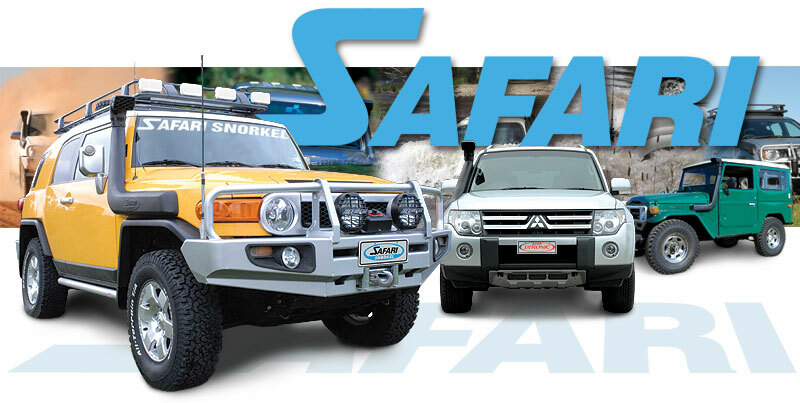 World famous Safari Snorkel Systems for the ultimate in engine protection under tough 4WD conditions. Professionally designed and engineered OEM quality Power Systems for high engine performance, durable operation and stress-free towing. Head Office: Safari Automotive Pty. Ltd.